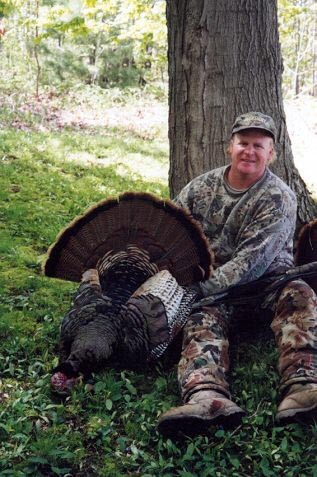 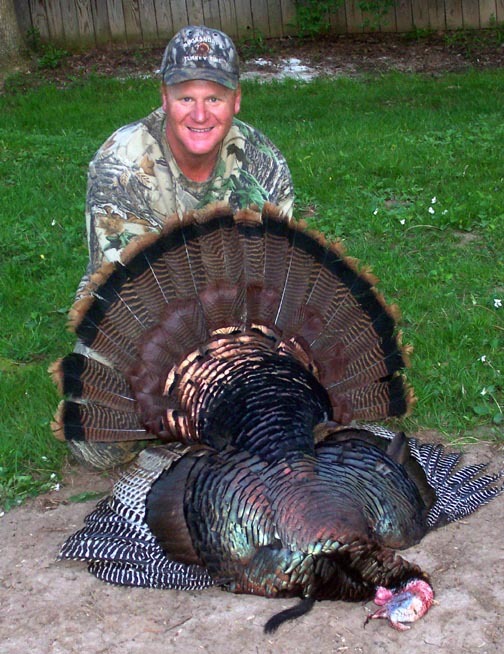 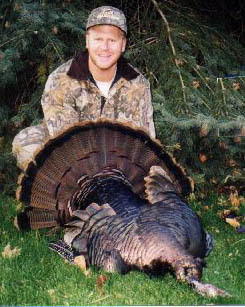 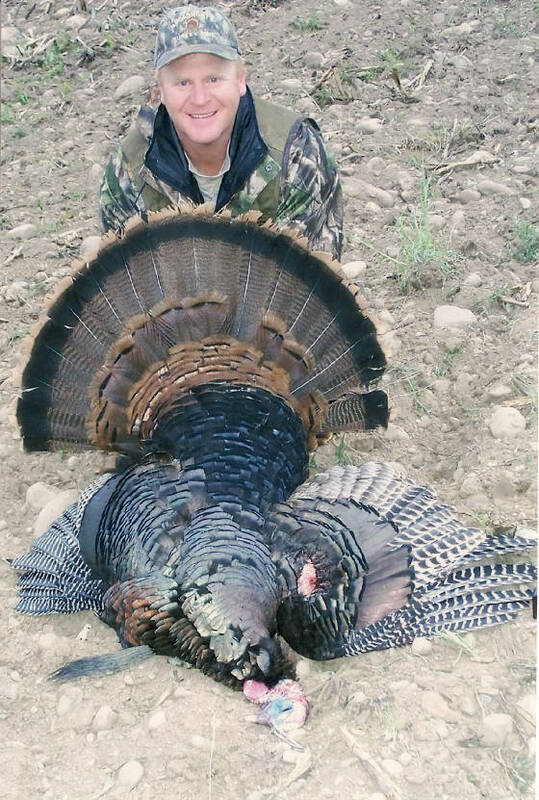 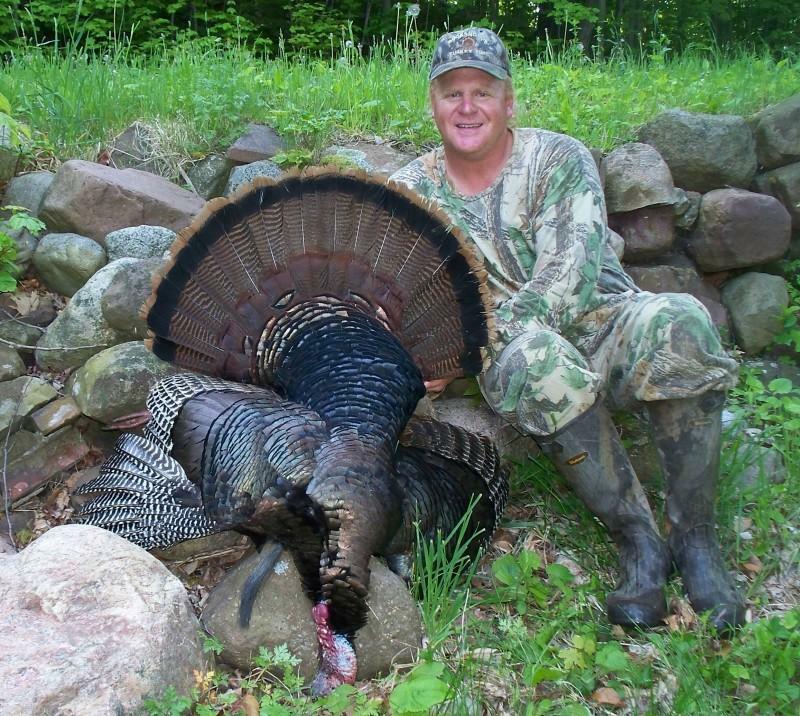 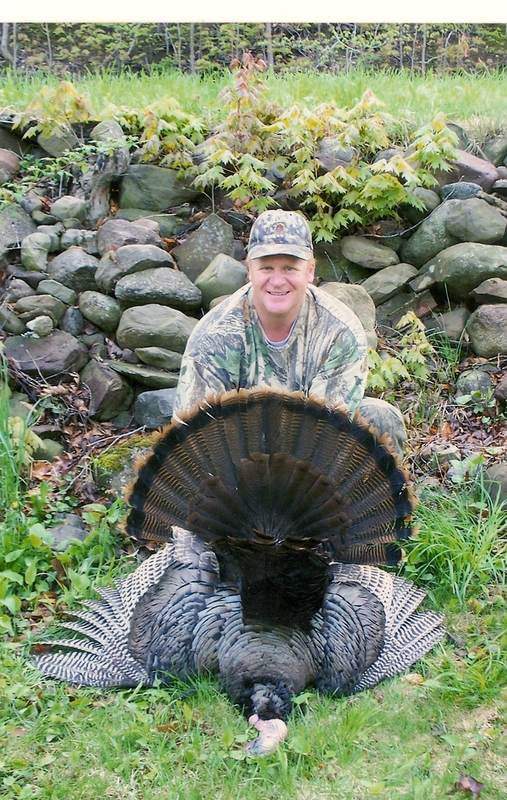 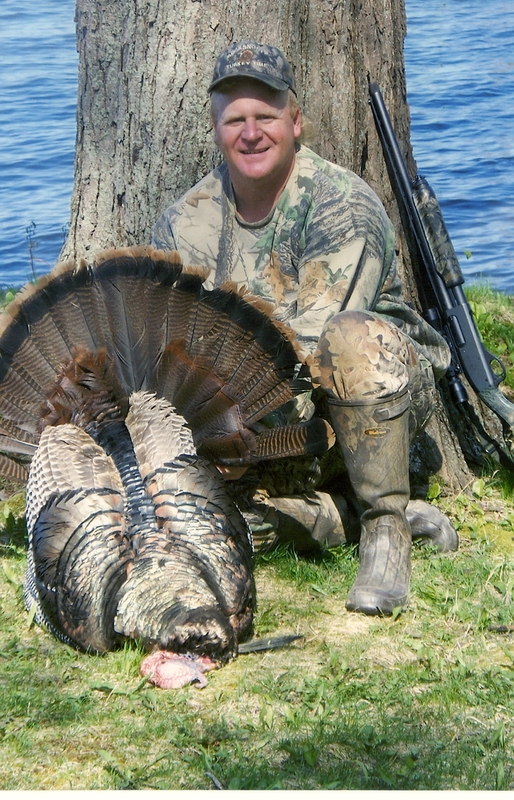 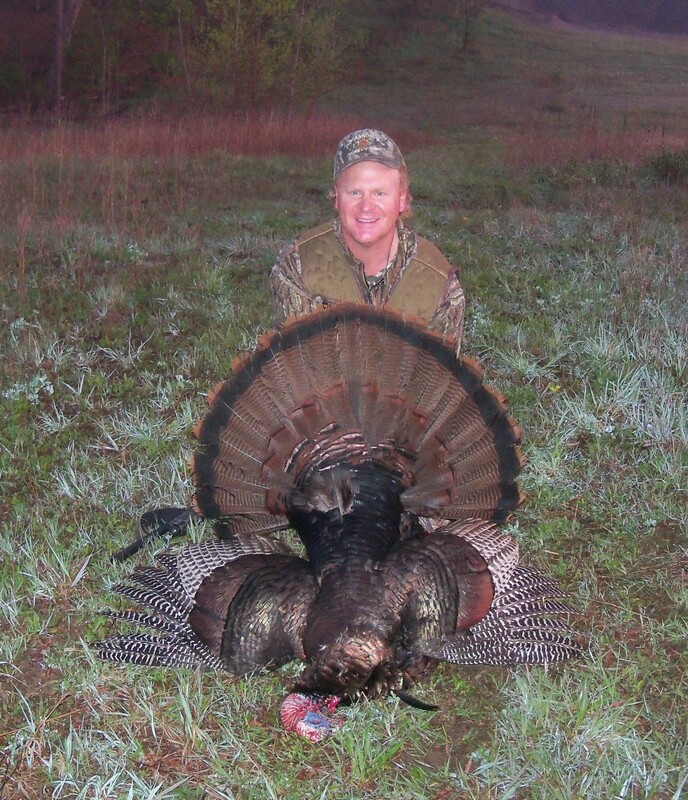 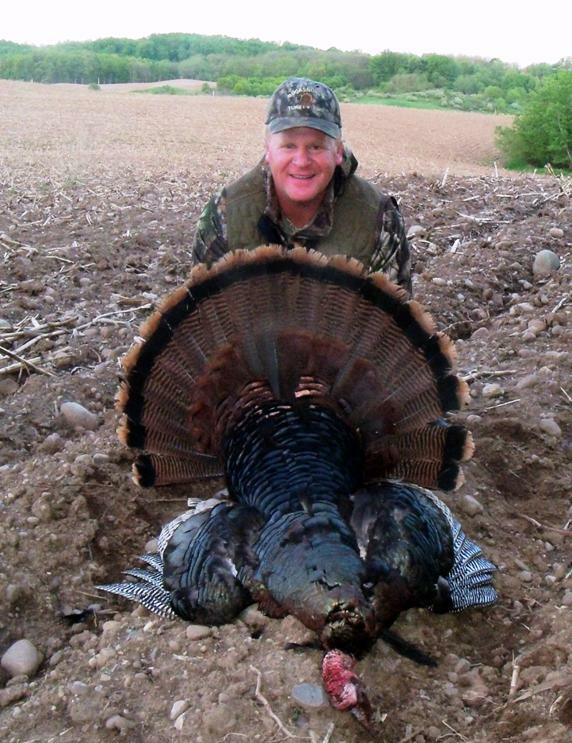 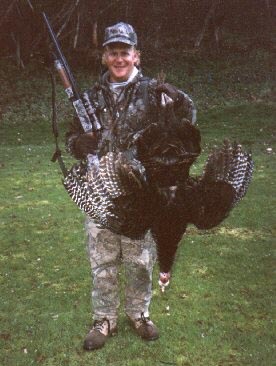 Opening day 2003, Andrew Lewand harvests this mature gobbler after "putting him to bed" the night before. 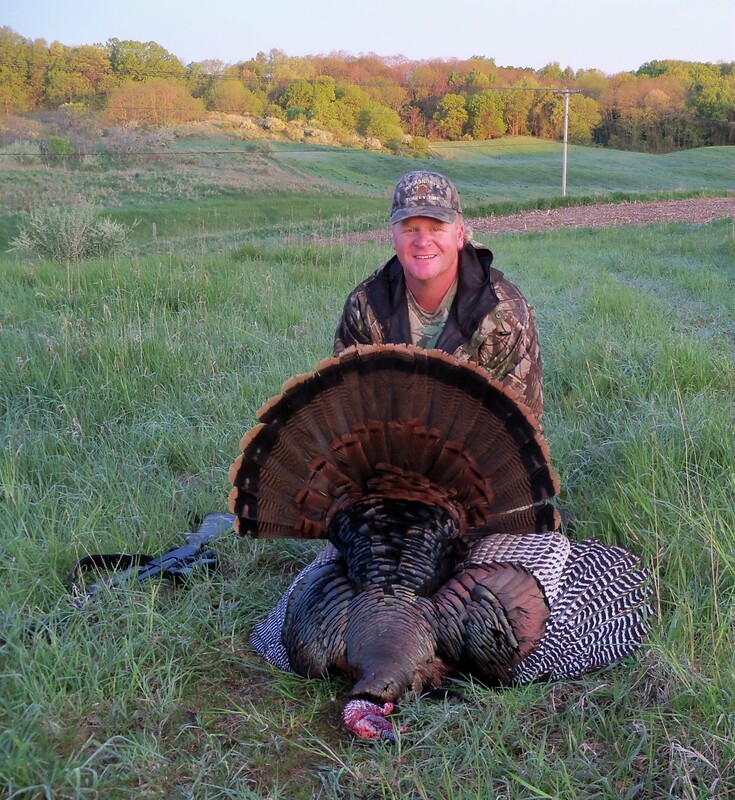 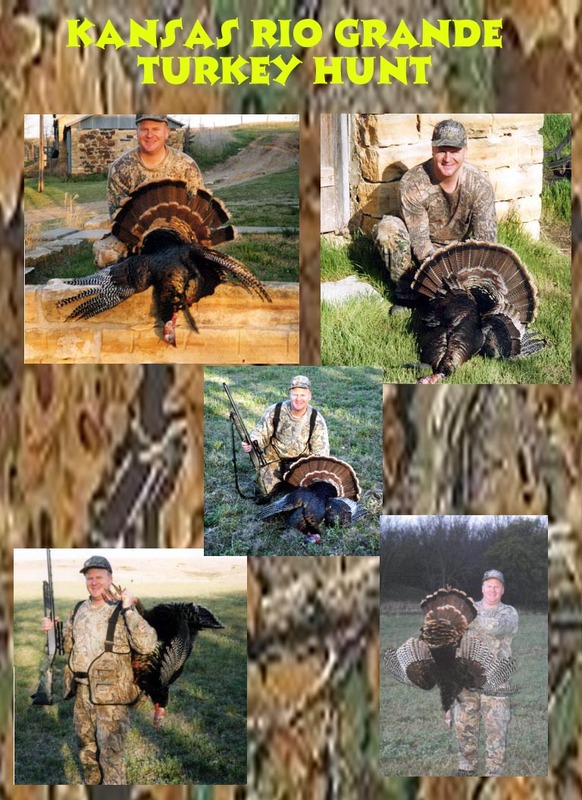 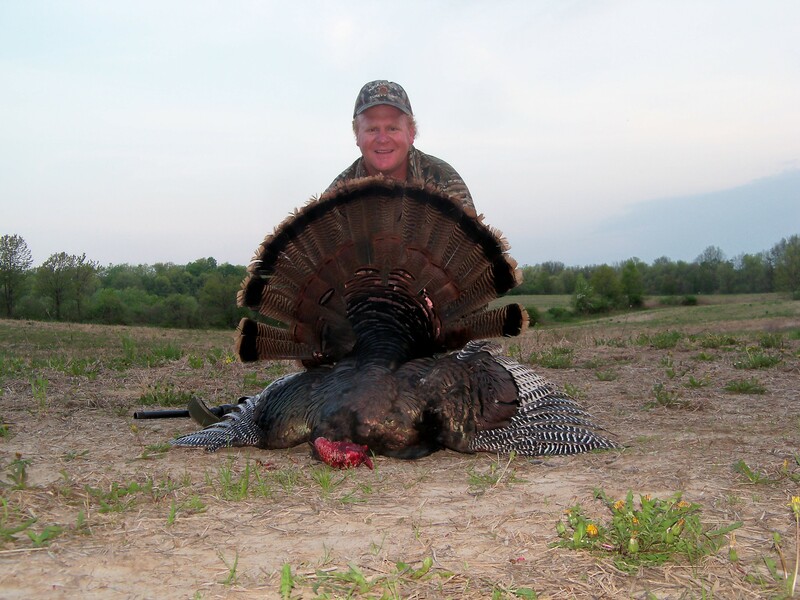 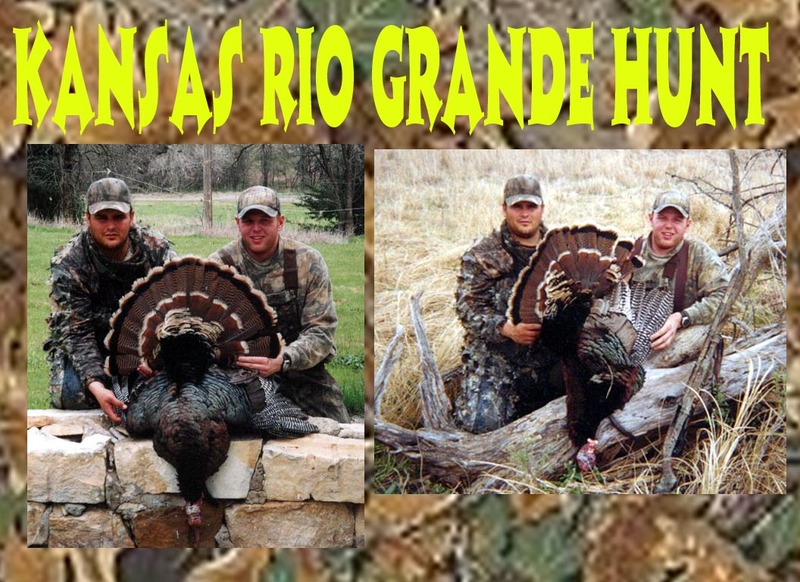 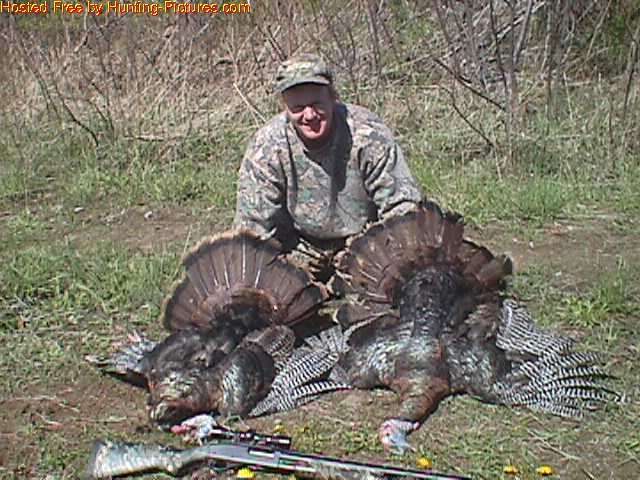 BUCKSNORT PRO STAFFERS Andrew Lewand & Craig Sleeman traveled to Kansas in April 2003 for a fantastic hunt! 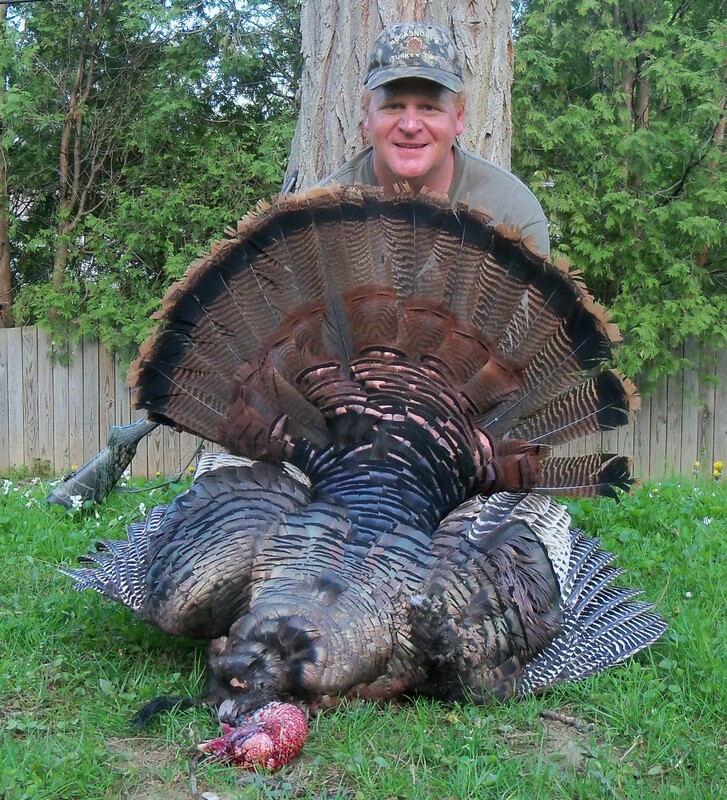 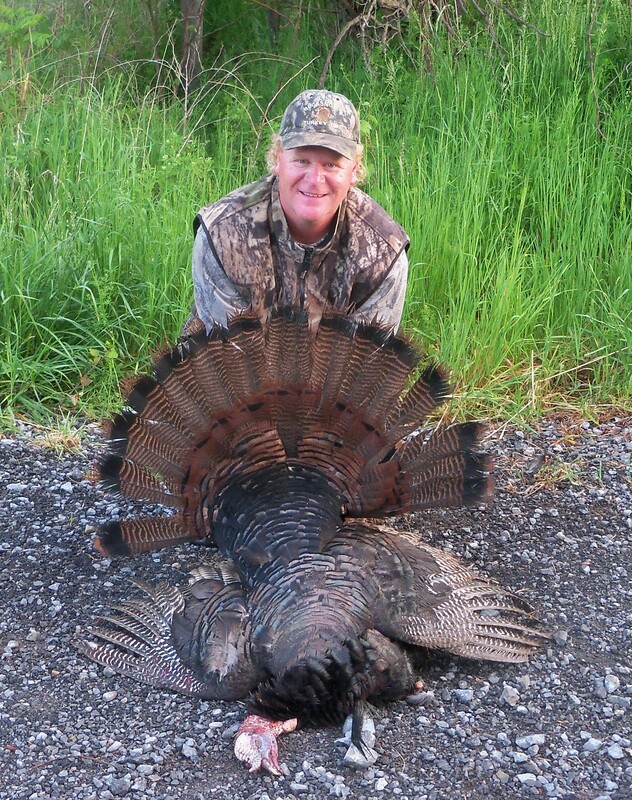 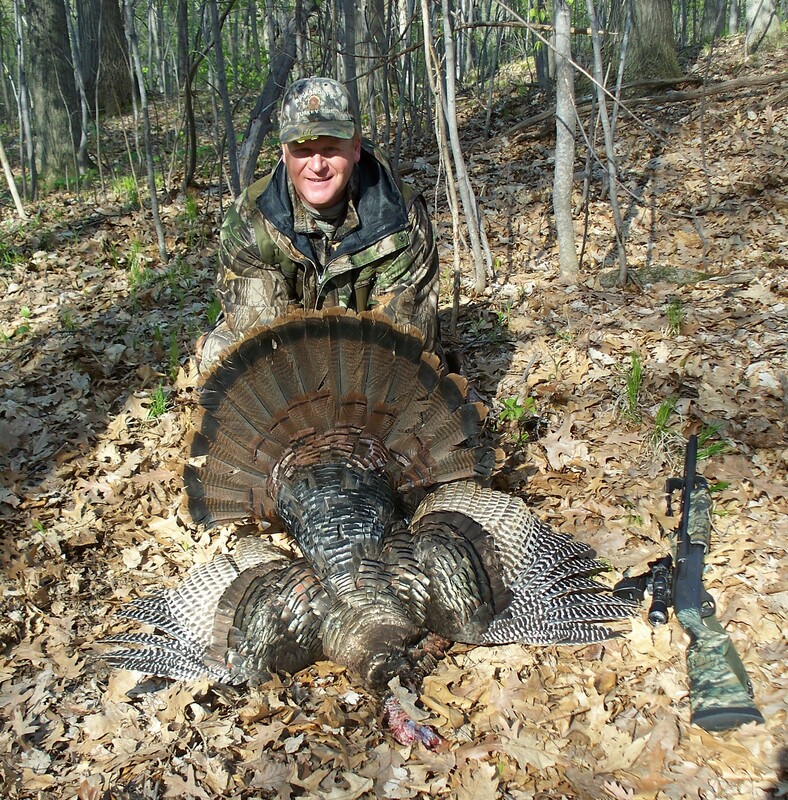 Craig Sleeman and his awesome 9.5" longbeard. 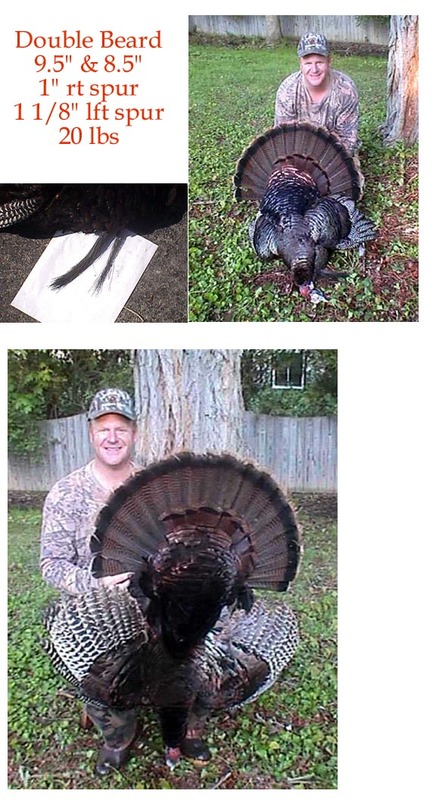 Way to go. 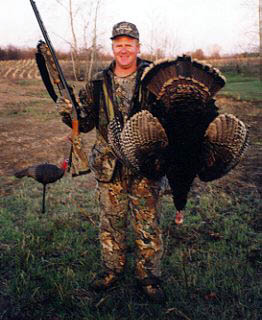 Craig! 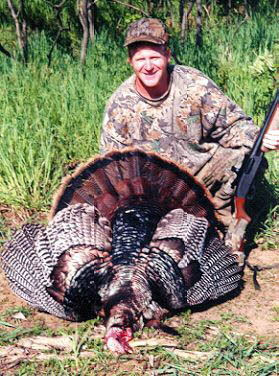 THIS JAKE GOBBLED APPROXIMETELY 45 TIMES BEFORE HE AND ANOTHER CAME TO MY CALLING OFF THE ROOST. 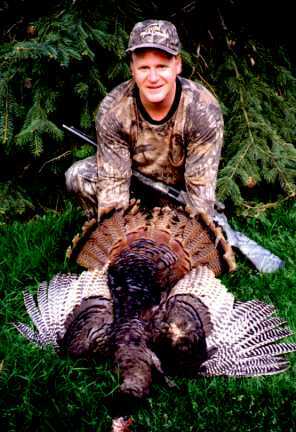 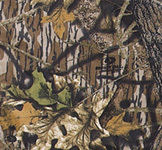 IN FALL 1998, I WAS BOW HUNTING FOR DEER WHEN A FLOCK OF GOBBLERS ROOSED ALL AROUND ME. 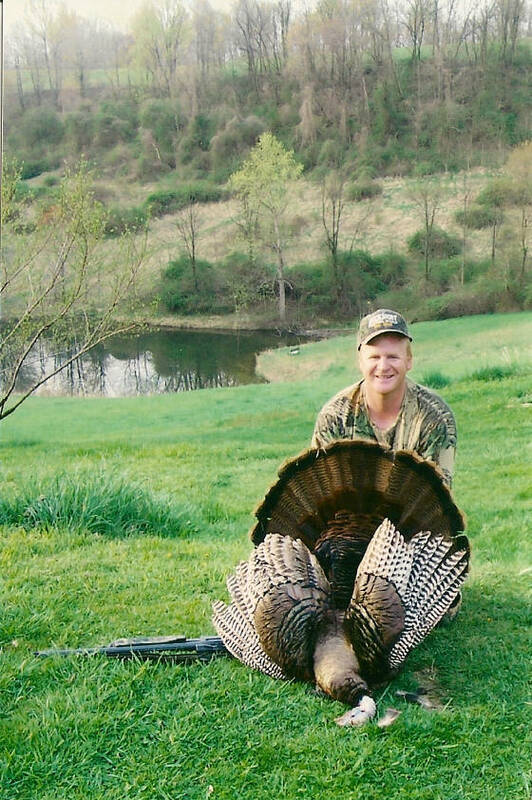 I WENT BACK THE NEXT MORNING AND SHOT THIS BIRD. 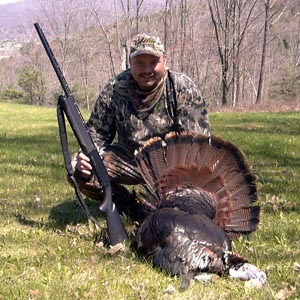 IT HAD A THIRTEEN INCH BEARD!! 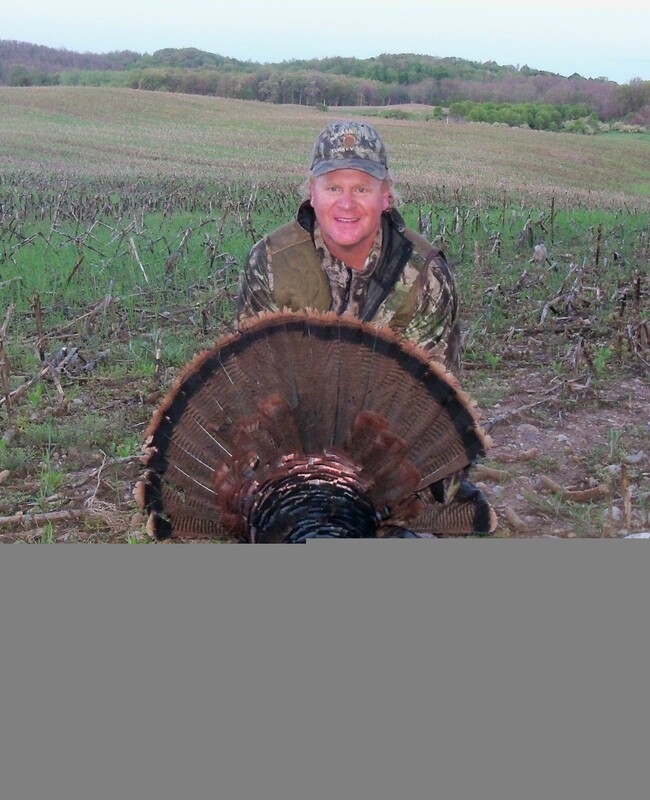 I SCARED THIS BIRD OFF THE ROOST AND CALLED HIM BACK WITH A SCEERY FEEDIGN HEN DECOY. 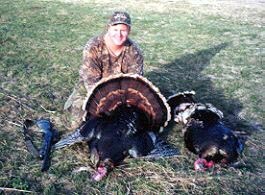 NOT A GREAT BIRD, BUT A GREAT HUNT! 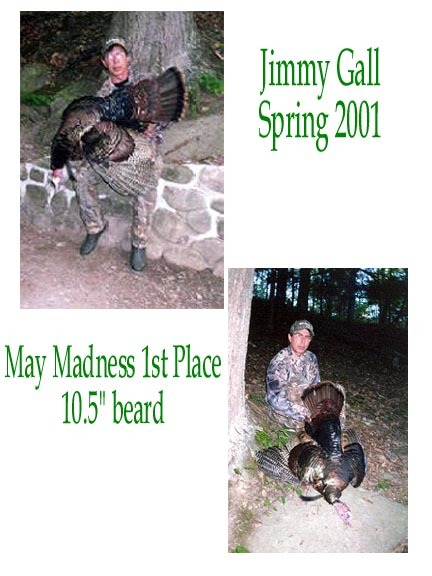 Spring 2002. 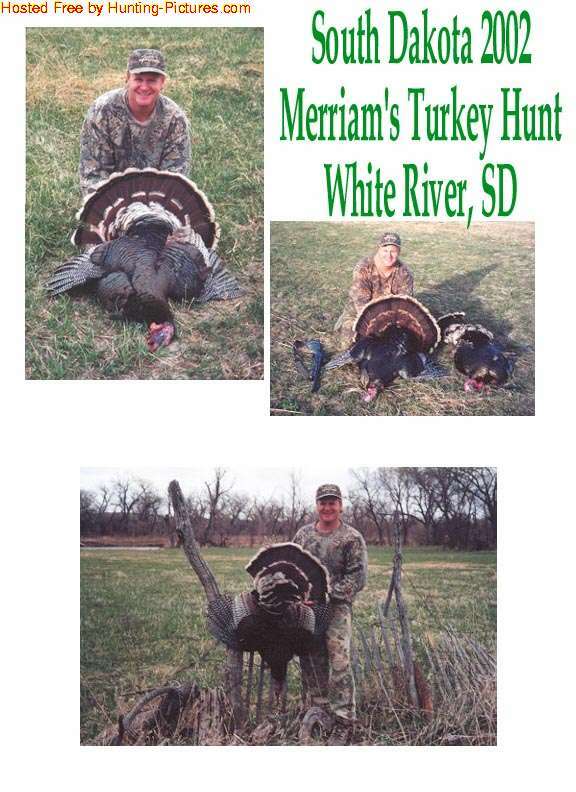 I ventured to South Dakota for Merriam's turkeys. 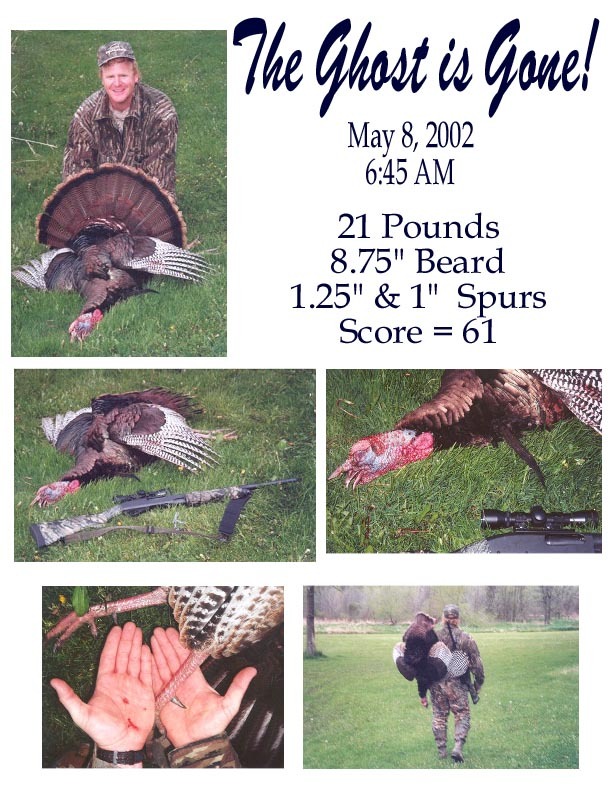 This bird sported a 8.75" beard, 1" spurs, weighed 20 pounds and scored 57.5. 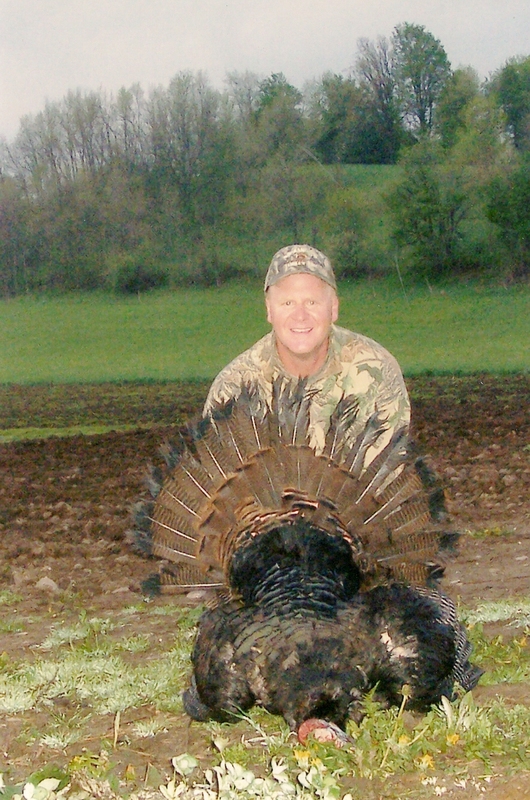 My second bird of the trip was this 21 pounder. 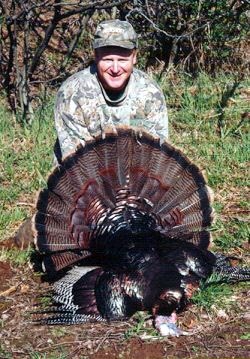 He had a 7" beard and only one short spur. 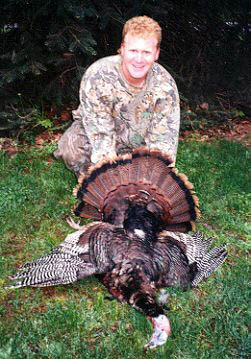 I PURSUED THIS LONGBEARD FOR 2 SEASONS! 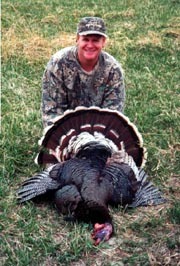 FINALLY GOT HIM!